Photovoltaic panels are another name for solar panels - panels which convert solar energy from the sun into useful electrical energy which can be used by electrical appliances and exported to the national grid. 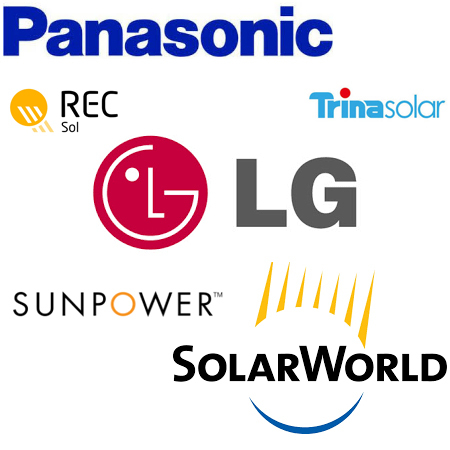 The term photovoltaic is often abbreviated to 'PV'. Photovoltaic panels are commonly referred to as solar pv panels and solar modules - they all mean the same thing. A word of warning though, the phrase 'solar panels' is also used to describe solar thermal collectors or solar hot water panels.. A completely different type of technology to photovoltaics, solar thermal collectors are used to convert solar energy into useful hot water. Photovoltaic panels consist of solar photovoltaic cells connected together in a string. They are encased in a special glass which optimises the passing of light energy from the atmosphere to the solar cells surface. The glass is itself framed by an aluminium frame that allows the photovoltaic panels to be easily transported, installed and fixed to the solar panel mounting system that is used. Solar PV panels are typically installed in strings of panels called solar arrays. A typical domestic scale solar photovoltaic system might consist of between around 6 and 16 solar panels in a single array. Larger commercial systems would be made up of multiple arrays totalling tens, hundreds or even thousands of solar pv panels. Solar panels used to come in just one main style - an aluminium frame and solar cells mounted onto a white backing sheet. This was the standard style for most of the history of solar panel manufacturing, at least for crystalline solar panels. 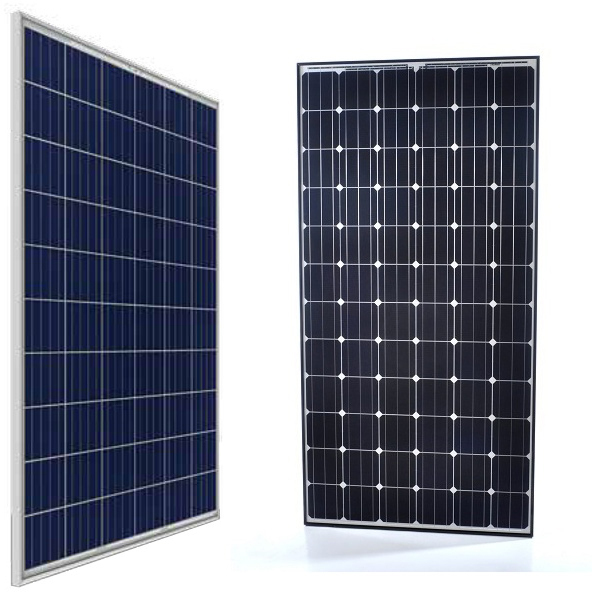 In recent years as solar panel manufactures have tried to innovate in order to compete for market share there has been a movement towards solar panels with black frames and black backing sheets. 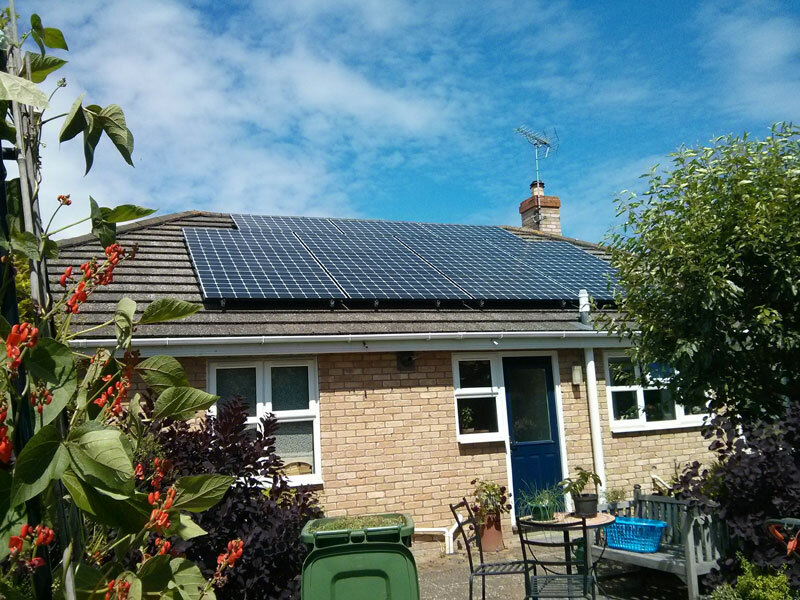 This trend has partly been led by the UK residential market where there has been real demand for solar panel systems that don't stand out as much as the traditional silber frame, white backing sheet, solar panels did. There is an argument that 'all-black' panels generate less power than the traditional style but this is seen as negligible and to many people this slight drop in performance not as important as what the panels look like. I have heard solar panel manufacturers say that they actually supply a 'size up' when they supply all-black panels to remove the drop in yield. So what the manufacturers sell as say a 250 Wp panel is actually made up of cells that would be able to be used in a 255 Wp or 260 Wp panel. There used to be a bit of cost difference between 'all-black' and traditional style panels but that has become insignificant in recent months. However because the UK is one of the only countries that demand all-black panels and most manufacturers supply internationally, the range of 'all-black' panels available on the market at any one time tends to be limited. This is data is looking at annual global shipments of solar panels. However in 2016 PV-TECH decided that their previous methodology did not show the full picture and adapted their analysis to take into account a wider spectrum of manufacturers including more weighting on upstream manufacturing processes. This new analysis shows a some significant and interesting differences. Some new names have entered the list, and none of these names are really well known brands in the UK.